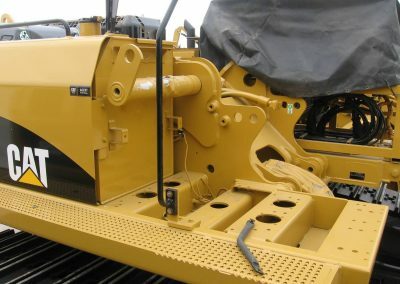 The challenge was to press a large pivot pin into the large boom of an excavator. 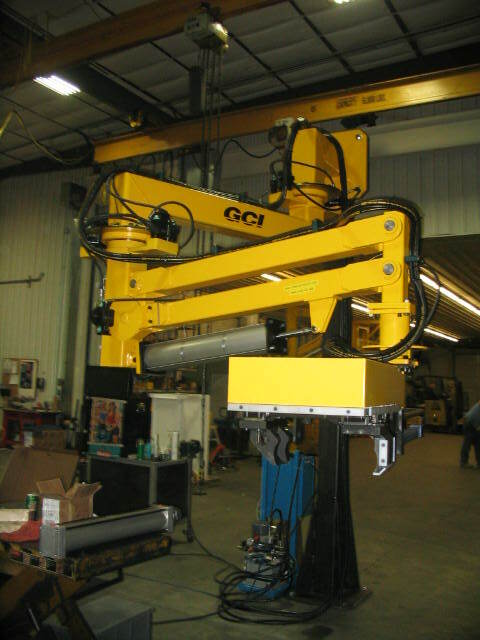 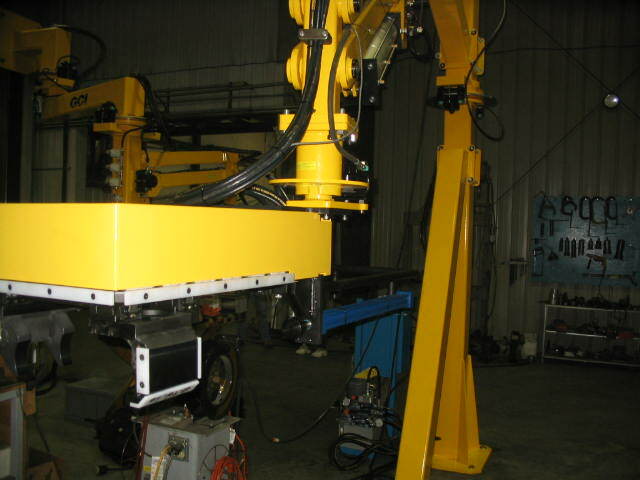 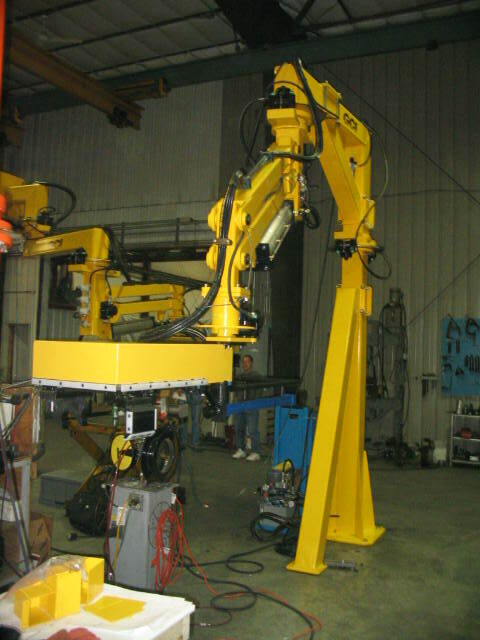 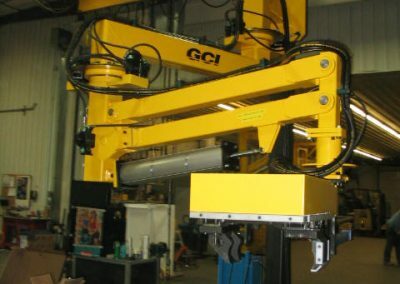 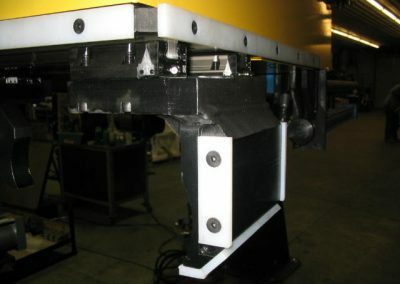 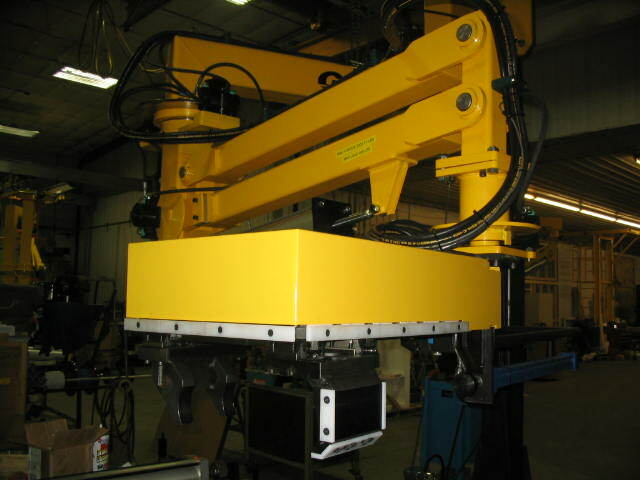 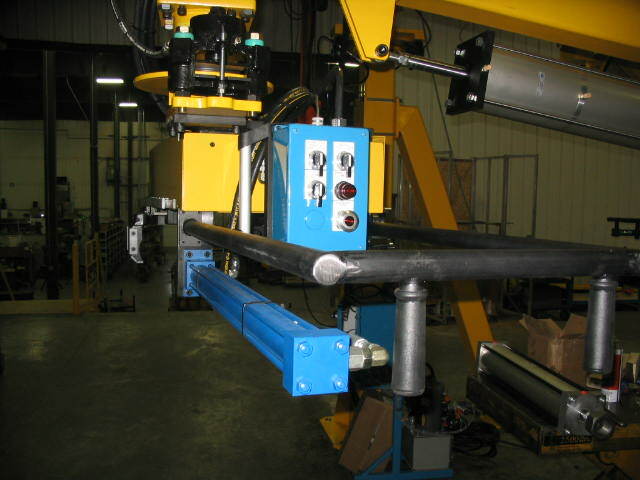 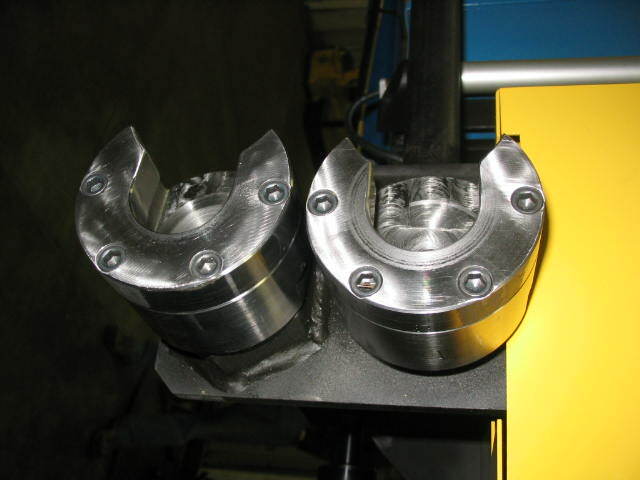 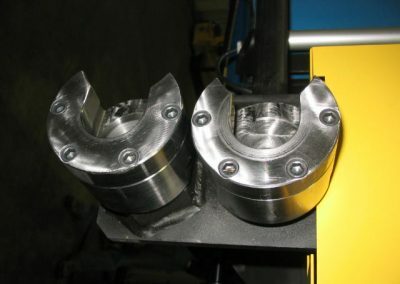 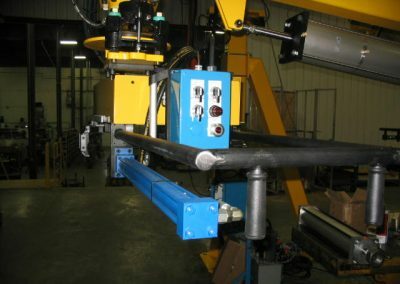 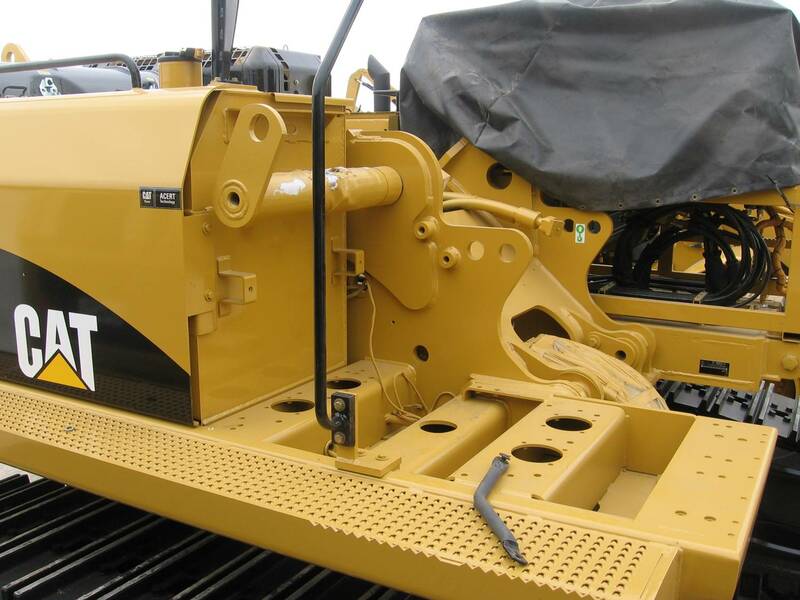 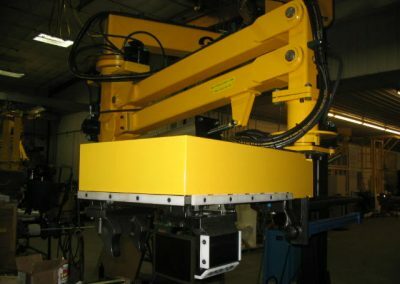 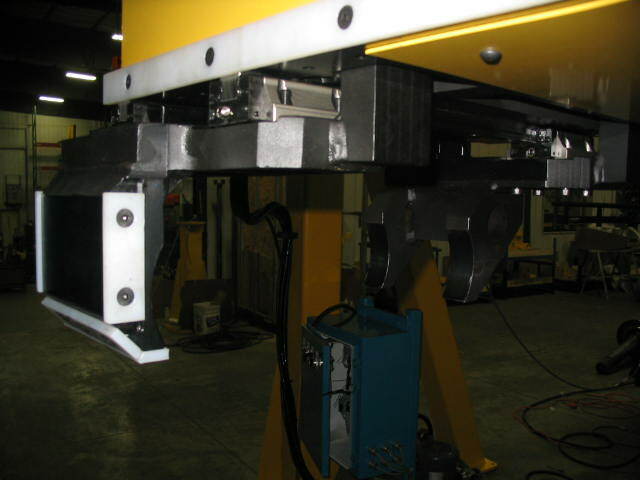 The solution was a large tool balancer that supported a floating frame, which included a press cylinder, that would pull the pivot into the boom and frame. 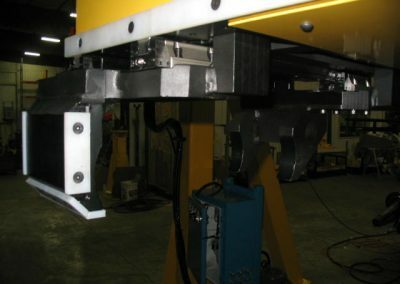 Innalytical Solutions completed the mechanical design of this system. 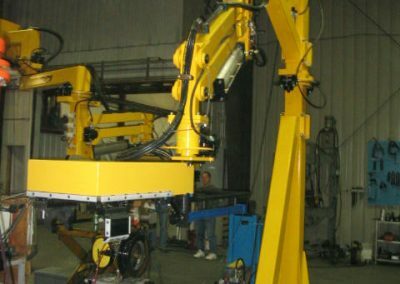 Images used courtesy of Titan Systems.